Essential PH-1 Getting New Update With Bluetooth 5.0, Notch Settings, April Security Patch & More - AndroGuider | One Stop For The Techy You! Essential's PH-1 hasn't been a commercial success, but nevertheless, the Andy Rubin founded company is trying its best to improve the PH-1 via software updates. After the announcement of the PH-1, Essential told us that it will be rolling out monthly security updates to the new phone and ever since Essential has kept its word. 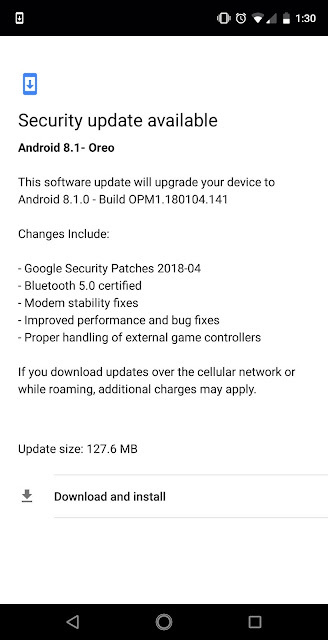 Google released the April security patch earlier this week, and now the PH-1 is being updated with it. As can be read in the changelog, the update also includes support for Bluetooth 5.0, and fixes for modem, performance and game controllers. As compared to previous iterations, Bluetooth 5.0 is two times faster, has quadruple the range (40 meters indoors, 200 meters outdoors), and has eight times data throughput. 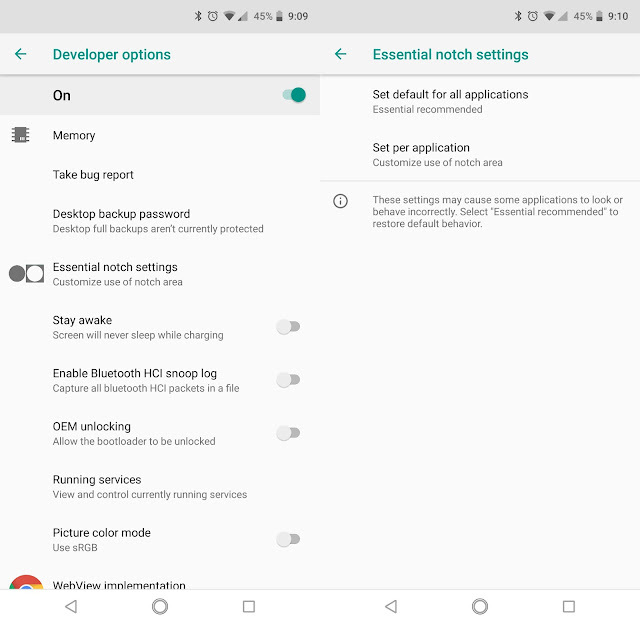 The changelog doesn't mention it, but this update brings a setting for configuring how the notch is used. The user will be able to choose how the notch is used on a per app basis or select a common setting for all the apps. 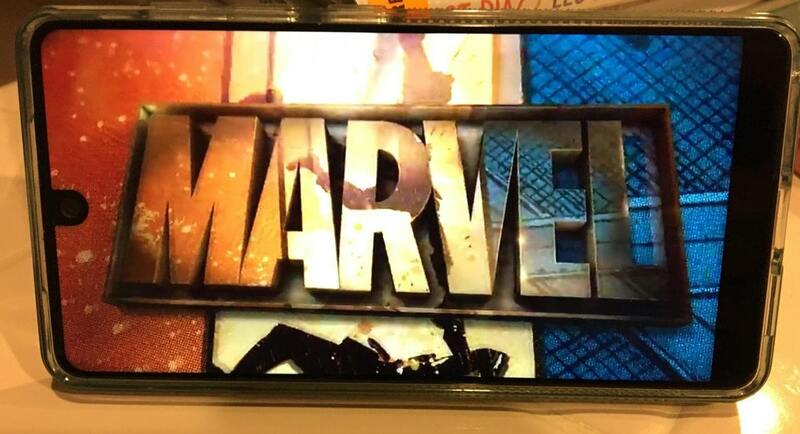 Upon selecting the "always use the notch" option, the user would be able to view Netflix in full screen without the black bars (refer to the featured image atop). On YouTube though, most of the videos have the aspect ratio of 16:9 (PH-1's aspect ratio is 19:10), so they won't fill the screen like Netflix. YouTube videos which have an aspect ratio greater than or equal to that of PH-1's will be able to make use of the entire screen. If you use the modded YouTube application Vanced, you would be able to stretch the 16:9 videos and force them to fill the screen. The update which is being rolled out carries the build number OPM1.180104.141, and is 128MB in size. A Sprint PH-1 user on the Essential subreddit claimed to have received the update, so the update should be rolling out to carrier locked variants of the PH-1.